Working with user and kernel mode in Linux and Windows. 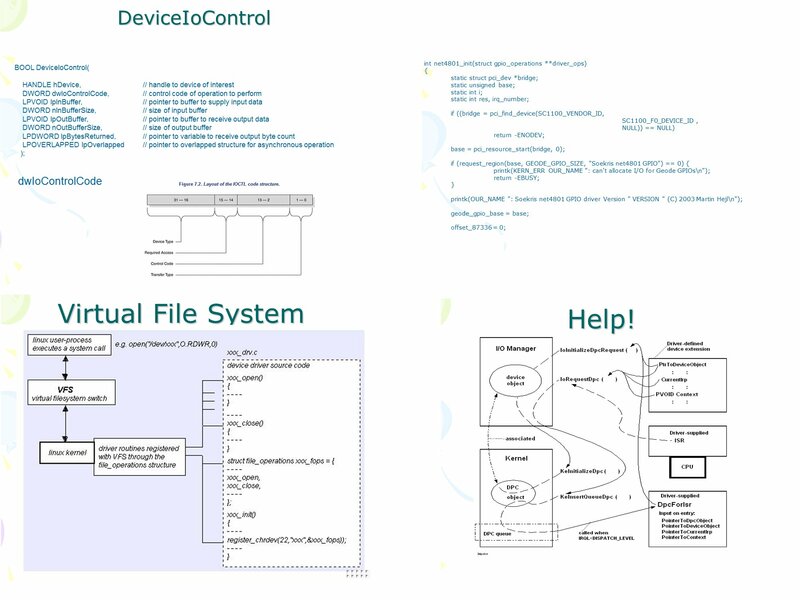 Understanding Device driver concepts like reading/writing, virtual/physical memory, dealing with hardware addresses. Synchronous and asynchronous kernel calls. Notification concepts. Creating APIs for new hardware components.